Gulbenkian » UK Branch » News & Views » News » What does Calouste Gulbenkian Mean to Me? The one thing my great-grandfather, Calouste Gulbenkian, means to me more than anything else is values. We don’t often talk about values nowadays, but we should especially at a philanthropic institution such as this one. Calouste Gulbenkian wrote about his values in a series of letters to my teenage father, his only grandchild. We will publish a selection of these letters later this year and you can see one example in the exhibition after this. Those values were extremely important to him and he called them his moral code. He not only advocated them, he lived according to them himself. When I first read those letters, I realised that my father had passed these values straight through to me, without ever saying where they came from. They helped make my father the wonderful man he was, and I think the most valuable thing I can do in the next few minutes is pass them on to you whilst making clear that I am only a messenger, not an exemplar. They come from a truly exceptional man with very high standards who had an astute eye for his own and other peoples’ weaknesses. They represent his view of what it takes to be a good human being but could also be useful in guiding his Foundation. They are surprisingly demanding, but that is part of the point, they teach us to aspire to be better. They were directed by Calouste to a young person and so are relevant to that part of the audience. In a few minutes, I will suggest how these might be useful to us in guiding the Foundation. This should be relevant to those of you who have loved this great institution for a long time. I hope the young people will also find this last part interesting as, to me at least, they are now close friends of the Foundation due to the efforts they have made to understand our founder and what it means to be a Global Citizen. First, do your best, do what you think is right, and don’t worry about recognition by others. It may seem odd to emphasise this at a prize giving, but that is what Calouste did. He wrote the letters laying out this value in response to my father winning a succession of brilliant prizes to remind him that it is the quality of the work you put in, not the prize, that matters. I hope you all know that the work you put in was outstanding and take pleasure from knowing you did your very best. Second, regard yourself as an unfinished product, and take on the responsibility of continually developing and improving yourself. We have all been born with certain talents and assets, we deserve no credit for them, all we can take pride in is what we do with them. We are all “work-in-progress” until the end of our lives and need to keep raising the bar against which we compare ourselves. Calouste Gulbenkian was a true auto-didact who left formal education aged 19, but taught himself about high finance, books, and art. When new artists were shown to him, like Degas, his response was: “I do not appreciate him, I must learn”. In a few years’ time, I hope you will look back on your work for Quem é Calouste with pride, but then say: “that was very good then, now I would do even better”. Calouste Gulbenkian believed that we all need to employ this self-reflection if we are to reach our potential. Third, show respect for others especially those with less privilege than yourself. Calouste Gulbenkian had enormous power, but he was unfailingly polite and courteous. All those who had to negotiate with him saw him as very difficult, but with an old-world courtesy born of iron self-control. The older and more powerful we become, the more important this is. Fourth, respect the truth. For him this was not an abstraction but a continual obsession to “check, check, check” and led him to require multiple reports on meetings or works of art. In these times of fake news, it is helpful to remind ourselves why truth matters. It not only allows progress so that we do not all believe the earth is either flat or the centre of the universe, but it also is one of the best defences against misleading propaganda such as that which led to the current problems in the US, UK, and parts of the continent. Truth belongs to, and is the responsibility of, us all, it must not be left to those with the loudest voices or most power. Closer to home, the truth can sometimes be uncomfortable in the short term, but it is liberating in the long term. This much is clear and documented. Is it possible to apply these to the Foundation? I think these values can provide a framework to celebrate what we have achieved recently and also point at where we can do more. Let me tell you about it. The first value means doing what is right, what is best for our fellow human beings and the planet, not what those with the loudest voices advocate. We have made excellent progress in diversifying the voices to whom we listen, and whom we serve, over the last few years. We are reaching out to new audiences in many departments and our new programmes have been designed based on research of where we can have the greatest impact. The second value of continuous improvement clearly also applies to the Foundation and, as I mentioned, the best way to do this is to set high standards and continually raise the bar. That means comparing ourselves with, and learning from, the best in the world. Again, there has been enormous progress on this over the last few years as we have looked for best international practices and have gained enormously from having international directors bringing their experience to several departments. Being open to the world brings us huge benefits. The third value, of treating those with less privilege with respect obviously determines how those of us in positions of leadership at the Foundation need to behave towards our subordinates, but it also informs how we all deal with the people outside the Foundation who have been less lucky in life’s lottery. Our current President has passionately stated her commitment to helping those most in need and this commitment is starting to be reflected across the Foundation. As a philanthropic institution we should serve the powerless, not the powerful; those who have not yet the means to advocate for themselves; that is where we get our true legitimacy, that is how we engender equality of opportunity. Many major foundations are realising that the people they are trying to help understand their needs and how to meet them better than the foundations do, and that Foundations need to be a little modest and to listen and empower. I firmly believe this must be our guiding principle if we are to continue to engage the next generation in our work, and that is why I think today is so important. 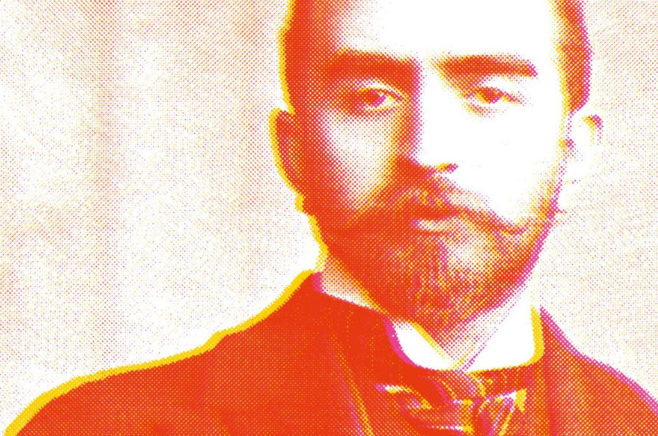 We have faced a number of new truths over the last few months with the publication of the first scholarly, independent biography of Calouste Gulbenkian which overturned some long-held myths. We are now in a position to be honest about Salazar’s interpretation of Calouste’s legacy, to acknowledge our founder’s real wishes for an international foundation serving all humanity, and to respect those wishes as promised in the decree law that created the Foundation. We have constraints and responsibilities in Portugal which we must respect, and this Foundation will always be Portuguese at its heart, but it can also be international. In fact, it will be more effective in Portugal and more in tune with the times if it is international. There is a remarkable coincidence between our founder, our past, and present and future needs. I am the third generation of my family to serve on the Board of this great institution and so I have a strong sense of its history. In its first ten years, when my grandfather was one of the first trustees, the Foundation was considerably more international than it is now with spending evenly spread between Portugal and abroad and with multiple foreign board members. Since then we have done some fantastic work, preserving culture through the dark years, and enabling tens of thousands of young people to broaden their horizons through study abroad. But some of the international commitment has got lost, in spite of my father´s and others´ persistent efforts, and we need to get it back as it is more relevant than ever now as today’s great problems are global, and we are particularly well placed to address them with the example of our founder and our international footprint. Politicians and governments, subject to the electorate, are driven towards purely national interests and the short term. As an international, independent foundation, we need to have a broader perspective and embrace the future, and today has shown that the future is of global citizens concerned about the whole planet and all humanity. This means thinking about the needs of the planet and humanity in general even when we act locally, valuing our international footprint as much as our presence in Portugal, and opening the whole foundation, from the top down, to the world and the next generation. The last value is about having big ambitions, and about tenacity and grinding away at problems. As individuals we have to be a little modest and realistic on this; we are not Calouste Gulbenkian. However, when we have the assets of one of Europe’s largest Foundations behind us, then we can aspire. Our Founder can guide and inspire us and I think it is my role as the representative of his descendants on the Board to remind everyone of the breadth of Calouste´s vision and that he saw his fortune as too great to just serve one country or one community. He had a grander vision of international cooperation and long-term thinking. He was a true citizen of the world and a great lover of nature in all its forms. This is the perspective we need to address the most important questions of our time. We need to move from talking like Global Citizens—which is a great start—to thinking like them and acting like them, and then grind away at the implementation to bring reality in line with our vision, as Calouste Gulbenkian would have done. I want to end by returning to the extraordinary young people whose work and ideas we have celebrated today. No one generation, or one group of people, own this foundation. Its founder wanted it to be not only for all humanity but also for all times, which is why he made it perpetual. My generation needs to hand over to subsequent generations. Let today be the start of a dialogue between generations that continues to make that happen. To find out more about Calouste Gulbenkian you can read the biography The Richest Man in the World by Jonathan Conlin published earlier in the year or if you are in Lisbon in 2019 you can visit the exhibition about his life.